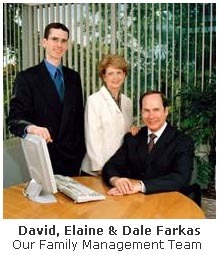 Dale Laboratories (and our online service at www.iPrintsPro.com) is a 50 year old family-run professional lab. We operate our laboratory as a craft shop rather than a factory. Each and every order you entrust to us will be handled as if it were our own. Lab Corrected Color - We use a precise, three-step process to correct your enlargements to perfection. First, we video analyze your images on a fully calibrated monitor. Then, we make a test print. The print is evaluated by an expert color technician, a correction applied and the "final" print made. If the print is not up to our standards it will be further corrected and reprinted. Advantage: Guaranteed color quality. Uncorrected Color (No Laboratory Corrections) - You make all color adjustments on your monitor and submit the corrected images to us online. We print your images on precisely controlled laser printing systems. No corrections or evaluations are made by our laboratory technicians. You are responsible for the color on the prints you receive and there are no reprints. Advantage: Complete personal control with discounted prices for technically qualified photographers. Requirements: 1) You must have your monitor calibrated so that you see a reasonable representation of how our printing machines will produce the color on your enlargements. 2) You need the skill sets to do your own color corrections. Calibrating Your Monitor To Do Accurate Color Correction - Please use our complimentary, on-line Monitor Calibration Chart and Tool to be sure that your monitor matches our printers' color balance. This is a quick and very easy approach to balancing your monitor! You'll find it very useful to read Using Color Management for a more in-depth understanding of how you can receive prints with the same color you see on your computer's monitor. We will provide you with a photographic match print plus up to five (5) free 8" x 10" prints to help you calibrate your monitor. Our technicians will work with you, on request, to create a special studio-specific offset to fine-tune a match of your color corrections to our printing systems. Please call us at (800) 327-1776 if you have any questions. We're here to help! Album sizes, with their panoramic, double page layouts and companion sizes are grouped for your convenience. We'll email you a quote.